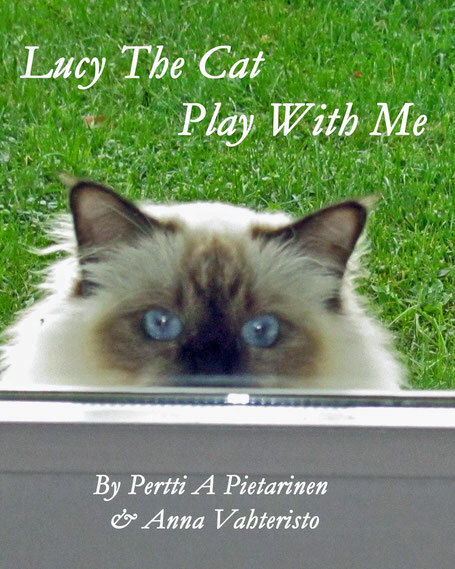 ISBN-13: 978-1505607000 is the third book in the Lucy The Cat series, the charming story about Lucy, the curious, cute Sacred Birman cat. Now it is time to play games. Lucy tells how she and her little brother Cristiano play every day. Cristiano loves especially ball games. Basketball is bigger than Cristiano but he is ready for the challenge. Could he go to NBA and be like LeBron James or would he be the star on the soccer field like Cristiano Ronaldo. Perhaps he will be the world’s strongest cat. But it requires lot of practice before you can reach the top. Lucy The Cat is sometimes like a magician with many tricks. She loves music and plays sometimes piano. Cat-in-the-box is her favorite game and if you climb up the tree you will see further. Would you like to join and play with her?